Recycle those green plastic bottles into a useful roof cover. Also could be used for a coldframe cover over a garden bed. 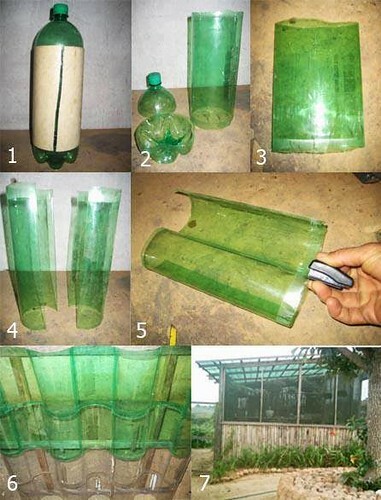 These are some of the good ideas how to use these plastic bottle instead of throwing it unusually.This kind of approach really help environment and surrounding healthy and fresh to live. Leave a Reply to Westminster Click here to cancel reply.